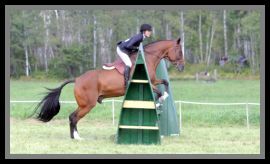 Give your horse that winning look with a tail from SOUTHEND TAIL EXTENSIONS. 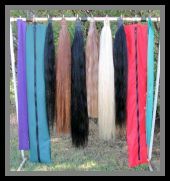 Each tail is hand made from real horse hair and come in the basic colors or custom blends. Our tail extensions are hair to hair attachments and are legal with most breed shows including AQHA, APHA, PHBA, ApHC, NSBA, POA, USEF and CEF approved Hunter and Dressage shows. We make our tails to suit your horses needs whether that be an unusual color or maybe that extra fullness for the winning look. Some of the popular colors and lengths are in stock. If it isn't what you are looking for, an extension can be made to what you need. The tails have a natural bottom but can be blunted if that is the look you prefer. There is a variety of weights offered too , so if you are not sure what your horse might need, email us or give us a call and we will be glad to help you out with the decision. Many of the custom orders can be done by simply downloading a picture of your horses tail or sending a small sample to get that perfect match. Our tails are easy to put in and take out. They hide in with no noticeable knobs as often seen with tail plugs that are at the end of the tail bone. Our design lies flat against the tail bone, positioning the extension to where there is top hair to hide the small leather piece. Securing the tail further down will eliminate any swinging motion and you will have a natural looking tail that moves as one. 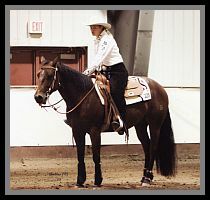 Whether you do Western Pleasure, Hunter Under Saddle, Halter, Reining or Rodeo events, we have a tail to suit your discipline. To store your tail extension we have LYCRA SOCKS. They are a great and economical way to keep your tail clean and ready to use. The horse industry is always changing. Some breeds and disciplines are allowing weighted tails and we offer REMOVABLE WEIGHT POUCHES for those who want some versatility. 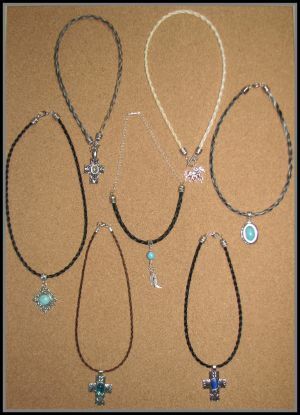 We now have a line of HORSE HAIR BRACELETS AND NECKLACES . 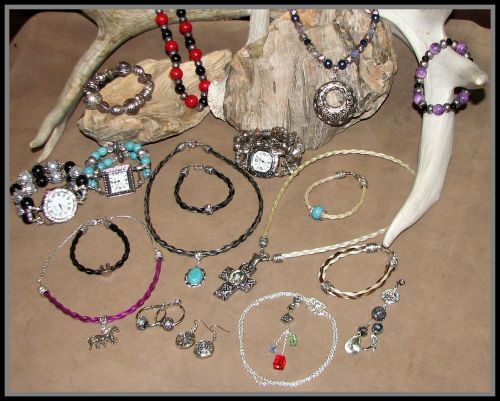 Add bling with a charm or beads or go for color with our assortment of dyed horse hair in pink, turquoise, or purple. 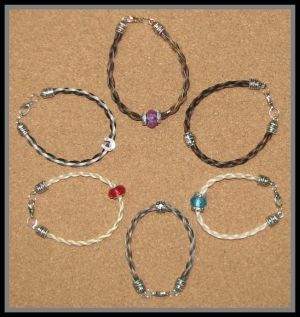 If you have a special horse you would like to remember, we also make custom MEMORY BRACELETS AND NECKLACES. Are you looking for some unique jewellery? 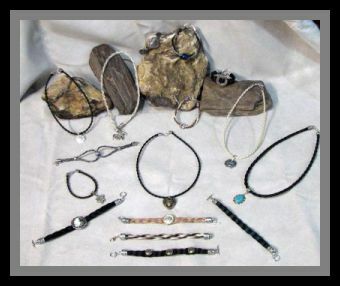 We have a Facebook page that will have our sales and some special inventory listed. SOUTHEND HORSE HAIR JEWELLERY. Check out our Before and After page where you can see some of our tails in action or go to our Facebook page for SOUTHEND TAIL EXTENSIONS. If you have any questions you can talk to us or email your questions and we will get back to you as soon as we can.